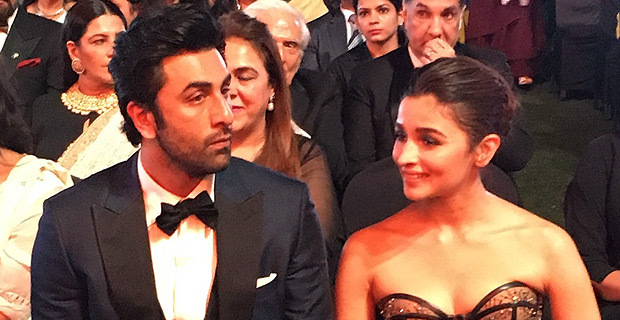 Bollywood actors Ranbir Kapoor and Alia Bhatt walked away with the coveted Best Actor Male and Best Actor Female awards at the 64th Vimal Elaichi Filmfare Awards. Kapoor won the award for his stellar performance in the bio-pic movie Sanju in which he portrays the character of bollywood actor Sanjay Dutt. Bhatt won the award for her role in the movie Raazi in which she plays the role of an Indian spy who marries a Pakistani man during the Indo‑Pakistan War of 1971. The awards was hosted by Shah Rukh Khan. Critics Best Actor in Leading Role (Male): Ranveer Singh for Padmaavat and Ayushmann Khurrana for Andhadhun. Critics Best Actor in Leading Role (Female): Neena Gupta for Badhaai Ho. Best Director: Meghna Gulzar for Raazi. Best Actor In A Supporting Role (Male): Gajraj Rao for Badhaai Ho tied with Vicky Kaushal for Sanju. Best Actor In A Supporting Role (Female): Surekha Sikhri for Badhaai Ho. Best Screenplay: Sriram Raghavan, Arijit Biswas, Pooja Ladha Surti, Yogesh Chandekar, Hemanth Rao for Andhadhun. Best Dialogue: Akshat Ghildial for Badhaai Ho. Best Original Story: Anubhav Sinha for Mulk. Best Debut Actor (Male): Ishaan Khatter. Best Debut Actor (Female): Sara Ali Khan. Best Debut Director: Amar Kaushik for Stree. Gulshan Kumar Award for Best Music Album: Sanjay Leela Bhansali for Padmaavat. Best Lyrics: Gulzar for 'Ae Watan' from Raazi. Best Playback Singer (Male): Arijit Singh for 'Ae Watan' from Raazi. Best Playback Singer (Female): Shreya Ghoshal for 'Ghoomar' from Padmaavat. Best Action: Vikram Dahiya and Sunil Rodriguez for Mukkabaaz. Best Choreography: Kruti Mahesh Midya and Jyothi D Tommaar for 'Ghoomar' from Padmaavat. Bollywood came together to honour the best of Hindi cinema of 2018.